A leading road safety charity has revealed which popular speed camera myths are true and which ones are false. Speaking to Gazette Live, a spokesman for Brake went through a list of rumours about speed cameras and shed some light on what the facts are. Firstly, it's true that not all speed cameras are actually operational – some are switched off and simply have a placebo effect on drivers. 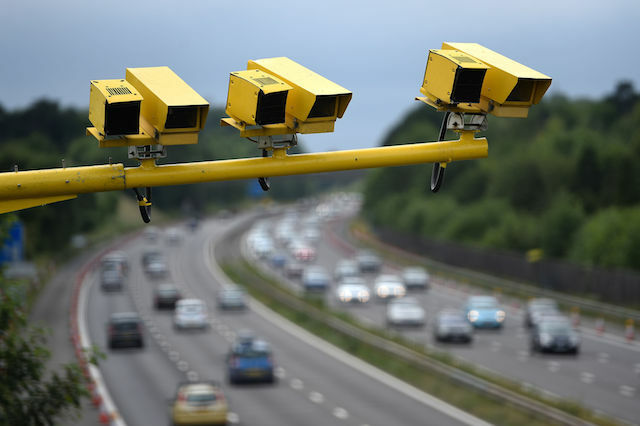 The Brake spokesman told Gazette Live: "Various Freedom of Information requests have revealed that some speed cameras are not fully operational in the UK. Secondly, it was revealed that the myth you only get fined for speeding if you're going 10 per cent of the limit over plus 2mph isn't really true. The NPCC (National Police Chiefs Council) merely advises prosecution of drivers is not sought before this point, but a police officer can choose to ignore this advice when they see fit. Brake said: "It is important to note this guidance is not legally entrenched, and that officers have the discretion to act outside it – drivers should be aware that this guidance also does not mean that they can break the speed limit legally." On the topic of average speed cameras, Brake said: "Average speed cameras are an effective way to prevent dangerous driver behaviour. The Brake spokesman confirmed that you must declare speed awareness courses on your insurance: "Drivers who fail to reveal that they have undertaken a speed awareness course, who then later make a claim to their insurance provider, may find that their policy is invalid. "Information on whether a driver has taken a speed awareness course is held by local police forces." Brake also revealed that driving fast does still trigger speed cameras, they do not need to be painted yellow, you do need to be notified within a 14 day period for a fine to be valid, you cannot request a speed awareness course and you can sometimes take the course more than once. Brake also explained you cannot get caught speeding on a bicycle or a horse: "Whilst it is unlikely that a cyclist, or other road user on non-motorised transport, would be able to reach the necessary speeds to be above the limit, the law holds that legislation around speed limits covers only motor or mechanically propelled vehicles."